For more than 20 years, Liftech has been providing businesses and worksites in the Campbellfield area with quality forklift hire, scissor lift hire and boom lift hire. Our machines have been sourced from some of the best manufacturers around the world and we’re constantly on the lookout for better ones. We have a complete range of forklifts to choose from, including: electric, LPG, diesel, container mast and narrow aisle to name a few. Whether you need to use the machine indoors or outdoors, we have you covered. We also have a number of attachments available for hire, including: tyne extenders and crane jibs. We have two types of boom to choose from – knuckle and straight – to ensure that your every need is met with ease. Each of the lifts in our range come fitted with a number of safety features to ensure that your employees are protected whilst working at height. From accessing warehouse shelves to loading and unloading trucks, these lifts are the perfect solution. We are committed to offering competitive pricing and will recommend the model that best meets the needs of your Campbellfield workplace – not the model that is the most expensive. 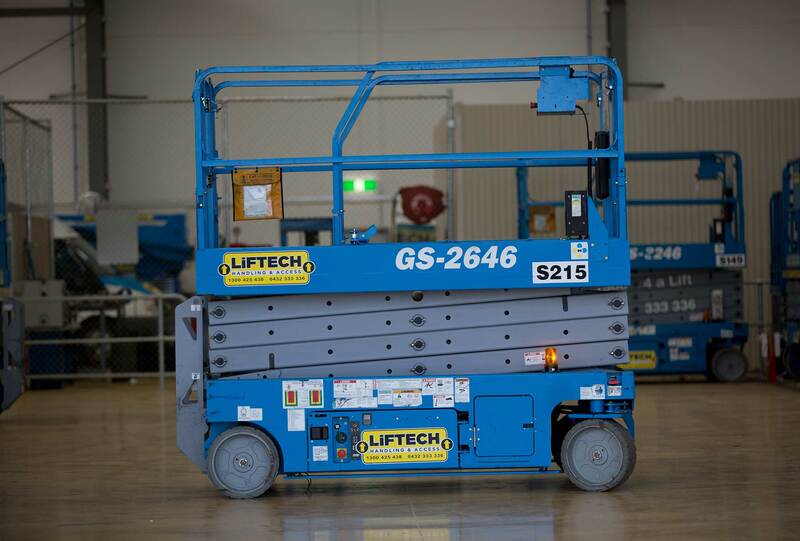 Give the team at Liftech a call today on 1300 425 438 for more information on forklift hire, scissor lift hire or boom lift hire in Campbellfield. Our expert team is more than happy to answer your questions or steer you in the right direction. Need hire fast? Get in touch and we’ll see what we can do!